Is Ad Blocking Evil? Why You Should Not Block Web Adverts! On the other hand, some websites (especially local news websites), have got out of control and ad blocking is often the only way to actually read the news! In 2014, around 200 million people across the world used ad blockers, resulting in an estimated loss of more than $20 billion in advertising revenue for businesses. In Germany, for example, nearly a third of mobile phone users have installed ad-blocking software, despite the fact that around 95 percent of all mobile users have yet to use this technology. In the US, meanwhile, only one in ten people have an ad blocker, according to data from Sourcepoint and comScore, although it would be sensible to assume that this figure will increase once more people discover the technology. The fact that so many people are willing to take the time to install this software points to a growing disdain for automatic advertising. The aforementioned figures do not even include the number of people who do not have ad-blocking software but nevertheless choose to mute the volume or turn to another tab/document for the duration of the advert – meaning the advertiser has zero impact. Although the software will initially be deployed in Jamaica, where Digicel is based, it will be introduced to other networks across the Caribbean and the Asia Pacific shortly afterwards. 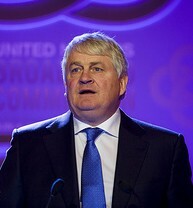 Denis O’Brien, speaking about major websites such as Google and Facebook, says that he is “taking a stand against them to force them to put their hands in their pockets.” O’Brien feels that they are essentially advertising on his network for free – he gets nothing from their ads. The company now has more than 14 million customers in more than 30 markets in the Caribbean, Asia-Pacific and Central America, and the impact of a universal deployment of ad-blocking software could, at least in theory, have marked consequences for advertising revenue in these regions. With ad-blocking, Digicel hopes its users will be able to load web pages much faster, and a reduced number of ads will also cut down on the number of megabytes mobile users consume on a daily basis. Until recently, ad-blocking software was difficult to install on mobiles. Today, however, Apple Inc already permits iPhone and iPad users to install ad-blocks on their devices. Although Digicel’s customers only represent a small minority of the global mobile market, the decision could have implications for other network providers, and advertisers may have to adapt their marketing to new platforms to ensure they don’t lose out on revenue. The new software, which is from the ad-blocking company Shine, will make ads disappear by default, although Digicel says its customers may opt out of ad blocking if they wish to. This move is not really about improving the user experience and reducing annoying advertising, however. It’s about forcing tech giants like Facebook and Google to pay for ads shown on Digicel’s network. However, with up to 10 percent of customers’ data currently being eaten up by pop-up ads, it is likely that the new ad-blocking software will benefit millions of customers, thus potentially improving the customer perception of the network provider. The company says ‘ad blocking is a consumer right’, a phrase that millions of phone users will no doubt agree with. Ron Porat, the CEO of Shine, says there needs to be much more communication about ‘sustainable digital advertising’ that can help build ‘mutually beneficial relationships’ for the future. Part of the difference maybe that I let the kids play on my phone when I am out, usually when one is waiting for the other at a club, so the phone is on 3G. I mostly use the phone at home on wi-fi, from the comfort of my sofa. However, Angry Birds is still a bandwidth hog, and much of that I suspect is the video adverts that the kids are forced to watch. So long as advertisers force very invasive ads on users, people will want to turn them off. Ad blocking is not really any different from changing TV channel when the ads come on.